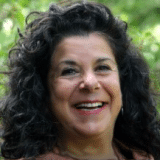 I am a holistic nurse educator and integrative nurse coach, medical anthropologist, and clinical nutritionist, and have been practicing in an integrative healthcare model both in the U.S. and abroad for over 35 years. I serve as the Clinical Nutritionist for Special Immunology Services at Mercy Hospital, Miami, Florida, and maintain a private practice in Miami as an Integrative Nurse Coach and Clinical Nutritionist. Currently, I am Co-Director, International Coach Association INCA, and Core Faculty, Integrative Nurse Coach Certificate Program INCCP. I am also the Founder and Program Director, Earthrose Institute ERI, a not for profit organization dedicated to women and childrens environmental health education with a focus on nutrition for health practitioners and community organizations nationally. I serve on the executive committee for the University of Miamis Integrative Medicine Conference, and am Program Coordinator for the University of Miamis Clinical Nutrition Program, and visiting faculty in the Department of Family Medicine and Community Health. I serve as a consultant for the annual Integrative Health Symposium in New York City. As a national speaker, writer, and a consultant for organizations that are pioneering the emerging integrative healthcare paradigm, I have written extensively on the role of Integrative Nurse Coaches in healthcare today. My most recent publications are Nurse Coaching: Integrative Approaches for Health and Wellbeing 2014; The Art and Science of Nurse Coaching 2013.Nutritional Healing and Environmental Health in Holistic Nursing: A Handbook for Practice, 2013, and an editor for Lippincott nursing textbooks on nutrition and herbal medicine. In 1985 I produced the award winning video At the Heart of Healing: Experiencing Holistic Nursing. In 1987 the American Holistic Nurses Association presented me with the prestigious Holistic Nurse of the Year award. For my own self-__care, I enjoy yoga and sunset walks on the beach near my home.